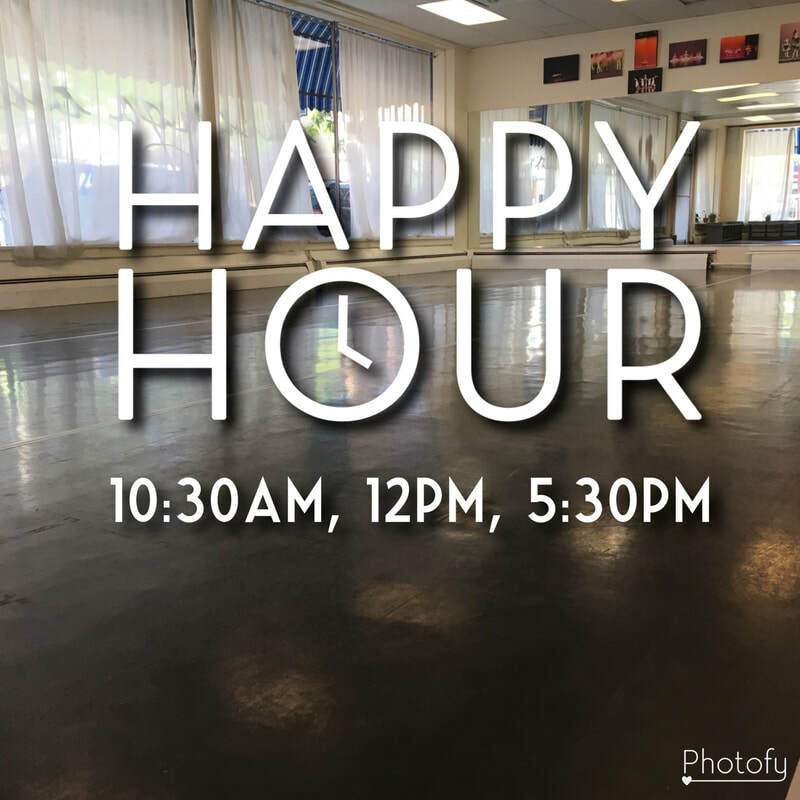 ﻿Happy Hours daily at Durango Dance... because "dance" and "happy" are basically the same thing! We believe that dance classes aren't limited to children. If you watch your little dancer tapping around the house and think, "I wish I could have taken dance lessons, but it's too late now," you're not alone. BUT it isn't too late. You are welcome to join our wide variety of adult-only dance classes. From upbeat classes like Blast and Tap to strength training in Barre to body awareness in Bliss, there is a class for you. We hope you'll join us for a dance class tailored to adults like you. Punchpass tickets for all our classes are available for purchase online. Lew - My wife has taken 3 Zumba classes here while on vacation and has enjoyed them tremendously. Happy wife = happy husband!